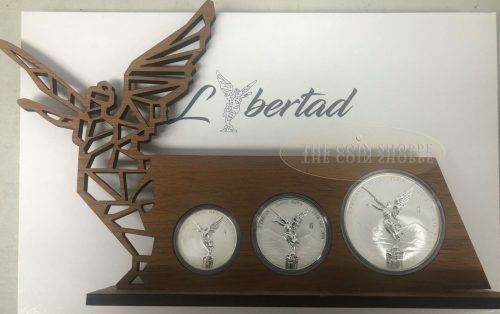 These sets are going to be very hard to get outside Mexico, as these sets are being sold only nationally (Mexico) – We were able to get a small number of these sets and here is your chance to own one! 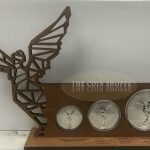 These 500 limited sets each come with a wooden display. 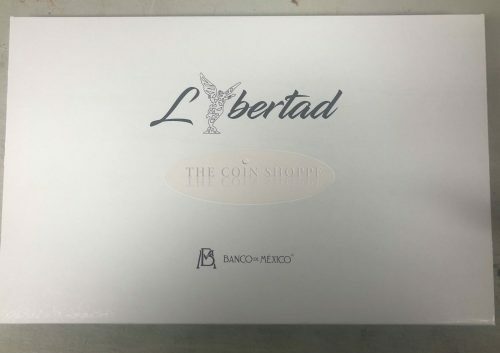 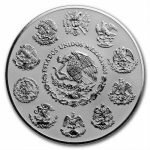 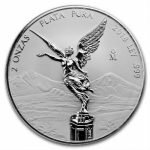 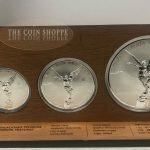 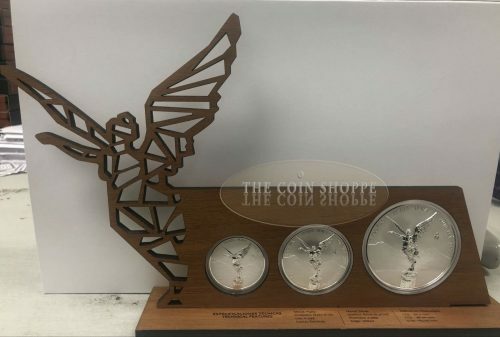 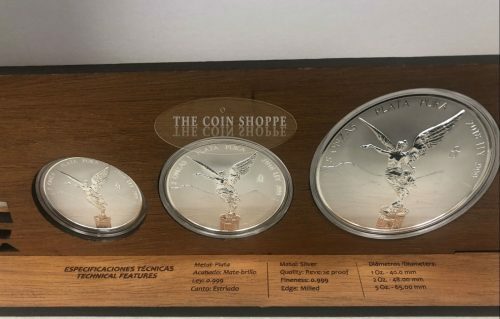 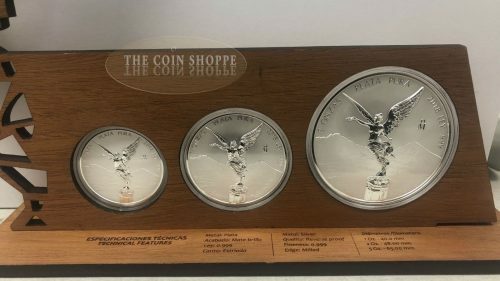 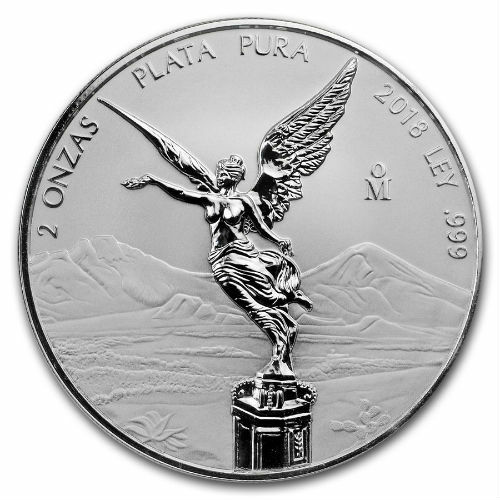 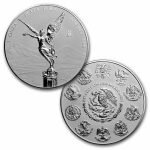 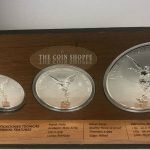 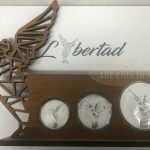 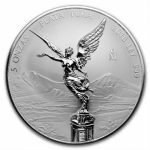 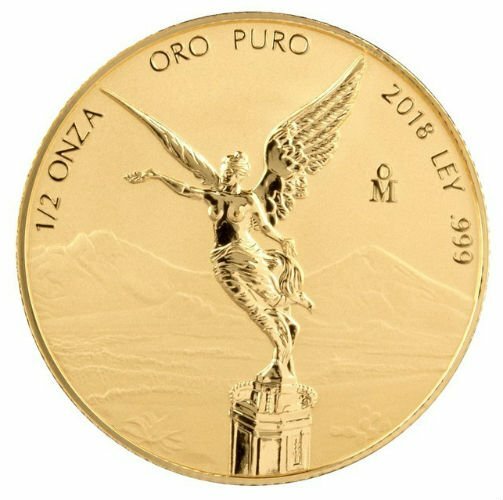 This gorgeous 1 oz, 2 oz and 5 oz Reverse Proof Silver Libertad set are a popular choice not only because of its attractive design, but also its mintage at Casa de Moneda de México, the oldest mint in North America. Only 500 sets available worldwide, and is the first year of issue for this special set. 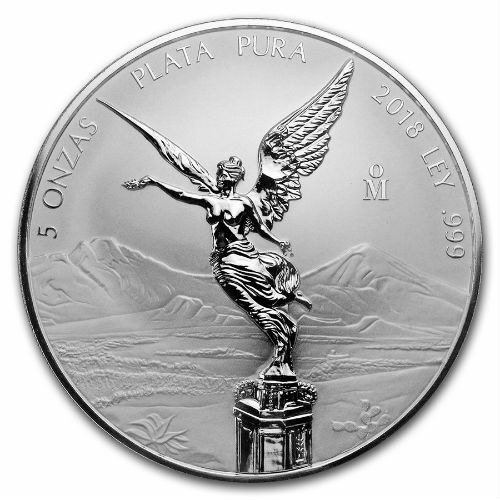 Contains a total of 8 oz of .999 fine Silver. Comes housed in a wooden display, The display features the Banco de México logo. 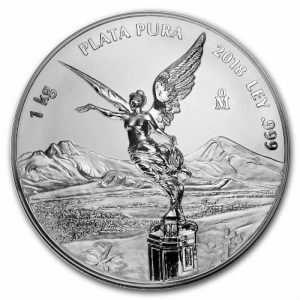 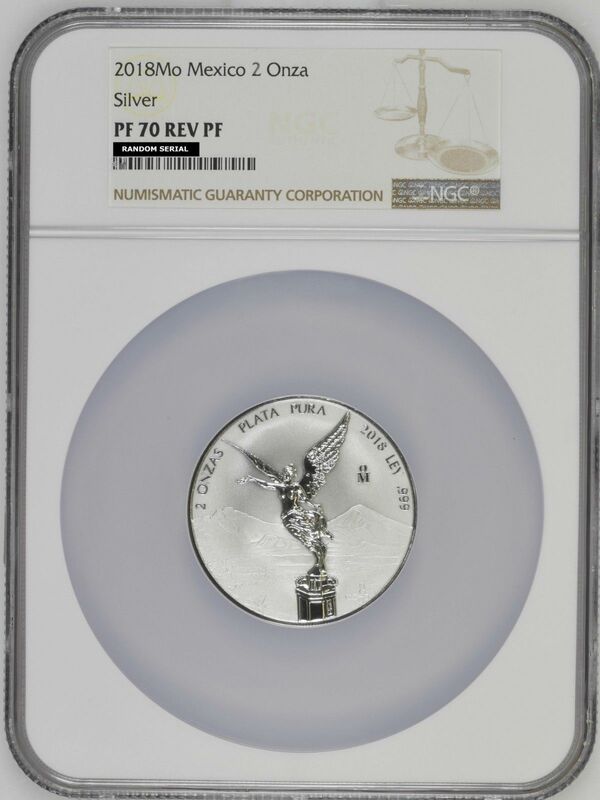 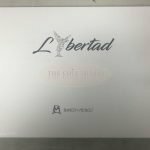 This set contains the second release of the Reverse Proof Silver Libertad in the 1 oz, 2 oz and 5 oz size. 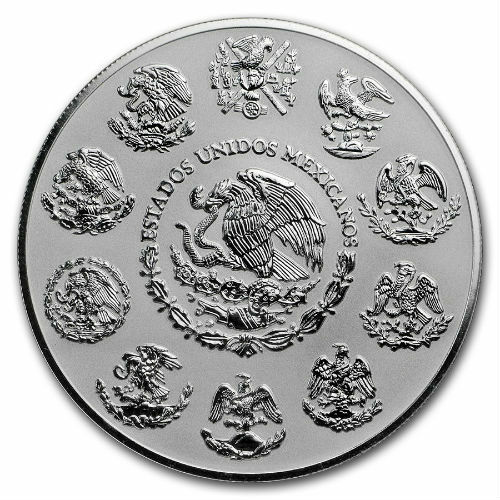 Obverse: Features a sculptural relief design of the National Shield, encompassed by the legend “Estados Unidos Mexicanos” (United Mexican States), surrounded by different national coats of arms used throughout Mexico’s history.